Are you looking for a qualified outdoor Instructor or Leader in the UK? Look no further and search our list of Mountain Training Association members using the tools below to find the right person for you. 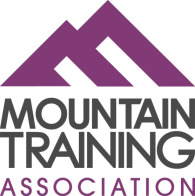 The Mountain Training Association is a membership organisation for walking and mountain leaders, climbing instructors and coaches, and the search facility below is made up of 'full' members of this Association that hold nationally-recognised awards, have been subject to a rigorous training and assessment process and undertake continued personal development to ensure their skills and experience are up to date. These members have chosen to advertise themselves publicly on this search facility to offer their outdoor services to the public. Whether you need a leader or instructor to enhance your personal skills or lead a group in lowland, hill or mountain terrain during summer or winter, or you are looking for an instructor or coach to improve your climbing skills and ability or run an indoor or outdoor climbing session, then you’ve come to the right place.